BELGRADE, Serbia — For years, Russia has worked to gain influence in Southeast Europe, using Serbia as a foothold to establish a friendly pocket on a hostile continent. The European Union finally is pushing back. European Commission President Jean-Claude Juncker is embarking on a seven-nation Balkans tour Sunday to promote the EU’s new eastward expansion strategy. Serbia's president says close military ties with Russia have “significantly changed and strengthened” Serbia’s position internationally. Russia mainly wants to discourage the Western Balkan countries — Albania, Bosnia, Macedonia, Montenegro, Kosovo and Serbia — from joining NATO. But Moscow also is trying to deter them from joining the EU. The EU sees the prospect of membership as an incentive for reform in the volatile Balkans region, which was torn apart by war in the 1990s. Its expansion strategy puts Serbia and Montenegro in position to join should the bloc open its doors to more members, tentatively by 2025. The U.S. wants to make sure the European Union's new PESCO defense agreement does not negatively impact NATO. 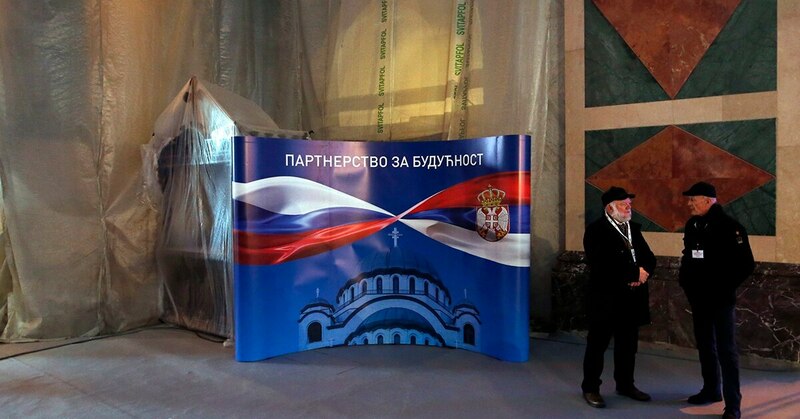 Serbia is a major target of Moscow’s anti-Western activities in Europe because the two Slavic and predominantly Eastern Orthodox Christian nations share deep cultural and historical ties. Their bonds also have experienced lows and highs, especially since the former Yugoslavia refused to join the Soviet bloc in 1948. The Kremlin is so concerned about losing its ally that Russian Foreign Minister Sergey Lavrov repeatedly argued while in Serbia last week that EU membership isn’t all it’s cut out to be. Lavrov also gave a warning; the EU’s repeated calls for Serbia to align its foreign policies with the bloc as a precursor to membership and to impose sanctions on Russia, he said, are the same “mistake” the West made by pressuring war-torn Ukraine to choose between it and Russia. Lavrov told Russia’s Rossiya 1 TV on Saturday that both Serbia and Russia are “the object of the West’s overt pressure” to turn Serbia against Russia. “We love our countries, and the Serbs love Russia, and the Russians love Serbia,” he said. Serbia's president reportedly said the country "is on a European path, but the difference between Serbia and other countries in the region is that Serbia does not want to join NATO." “It’s not clear how far they are willing to go to preserve their interests here, but judging from what they did in Ukraine, they are willing to go far,” Jaksic said, referring to Russia’s annexation of Crimea and support for pro-Russian rebels in eastern Ukraine. Lavrov also said that “Europe is facing an unhealthy situation” because of NATO’s eastward expansion. Montenegro joined the Western military organization last year despite Moscow’s strong opposition. He praised Belgrade for maintaining military neutrality and refusing to join NATO. “We are convinced that this status is one of the main factors ensuring stability in the Balkans and the European continent in general,” Lavrov said. 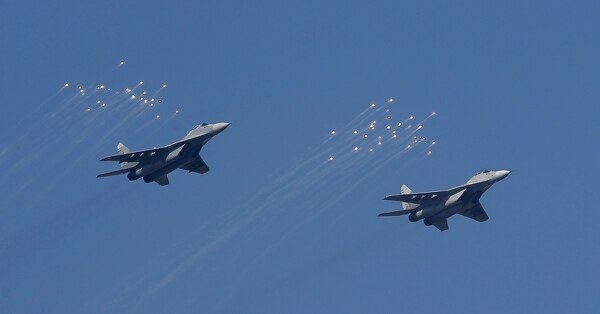 There have been mounting fears in the West that Russia is using Serbia to foment tensions in the Balkans by arming its ally with warplanes and tanks while working to destabilize neighboring Bosnia, Montenegro and Macedonia. The European Union’s foreign and security policies grew out of Europe’s failure to respond to the wars in the Balkans that accompanied the breakup of Yugoslavia. The bloc remains wary that some of the ethnic cleavages that sparked the conflicts of the 1990s persist. Three countries have become EU members: Bulgaria and Romania in 2007, and Croatia in 2013. The rest either are candidates for membership or potential candidates. Although Serbia formally has declared its interest in joining the EU, the right-leaning leadership now running the country repeatedly has expressed anti-Western sentiments. “Investing in the stability and prosperity of the Western Balkans means investing in the security and future of our Union,” Juncker said ahead of the trip. Juncker’s tour of the Balkans, which starts in Macedonia on Sunday and ends with an EU summit in Bulgaria on March 1, is seen as the EU’s belated attempt to counter Russia’s reach. “Paradoxically, the Russians and their policies in the Balkans have triggered alarm bells that woke up the European Union into action,” Jaksic, the analyst, said.